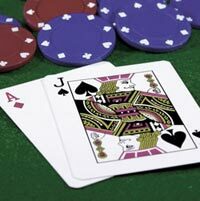 The Martingale betting system is one of the easiest and commonly known betting systems. It is a type of negative progression system and it is based on the probability of losing an infinite number of times. It is used with even money types of bets. Its prerogative is that it increases your chance to win in the short run. Yes, for short gaming periods this betting system can make you a winner. The Martingale is considered to be one of the oldest betting systems. The principle it works on is the following: you make your standard bet, let's say $1, on an even-money bet. Every time you win the hand, you make the same amount of bet for the next. But if you lose, you should double your bet for the next hand. When you eventually have a winning hand after a series of losing hands, your net win will be $1. In fact, every time you win a bet, you'll be up another $1, irrelative of past losses. See an example: You bet $2, if you win, so you bet $2 again. If you lose, so you bet $4. In case you lose again, so you bet $8. You lose again, so you bet $16. You lose again and you bet $32. Then you win. Your net win on these series was $2, and since you won $2 before your losing streak, you're ahead a total of $4. So that's what you need to understand about the Martingale system: if you lose many times in a row, you'll go broke and won't have enough money to make your next bet, or you'll go over the table limit. Should you use the Martingale? In exchange for increasing your chances of winning, you're willing to lose a larger amount than normal if you do lose. You have at least a $200 bankroll if you're making $1 bets or a $1000 bankroll if you're making $5 bets. You're going to play just for a few hours. You think the Martingale will make you a 100% winner. Your bankroll isn't enough and you don't have at least $200 for $1 bets or $1000 for $5 bets. You've disposed yourself on playing for a long period of time. 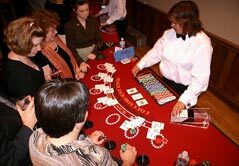 Remember, blackjack betting systems are used by those who don't have the patience for the small incremental wins that a professional blackjack player looks at in course of many rounds of the game. Sure, if things go ok, a blackjack betting system like the Martingale can increase your winnings - but only if your luck plays out just like the system wants it to. If you indeed win after a round of losses, you'll do OK; but if your luck is out and you stick to Martingale system, you can gamble away your shirt, your farm, and any chance of winning back your money.